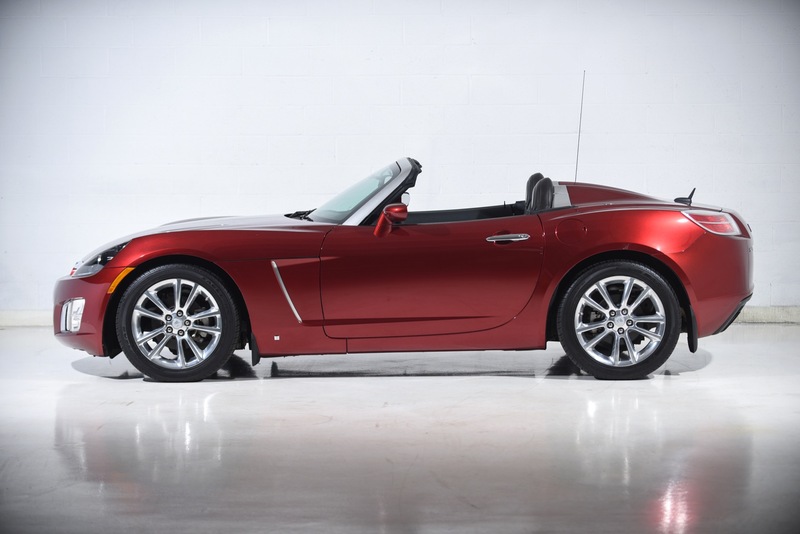 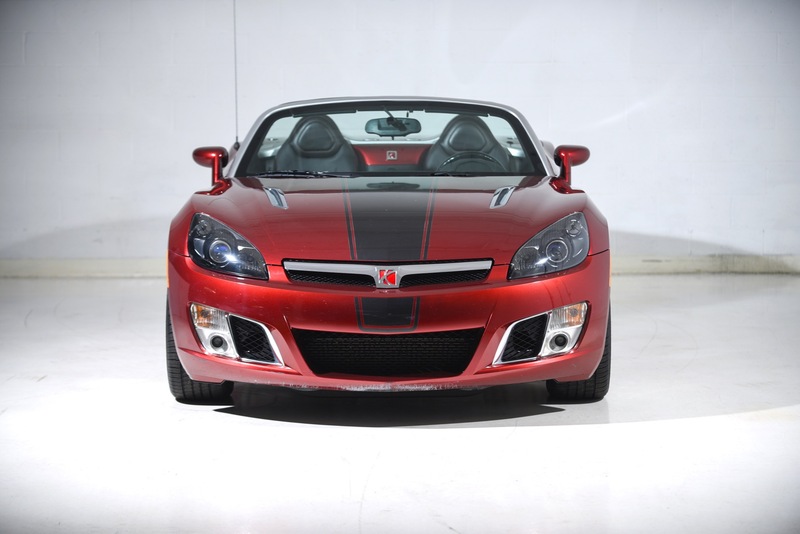 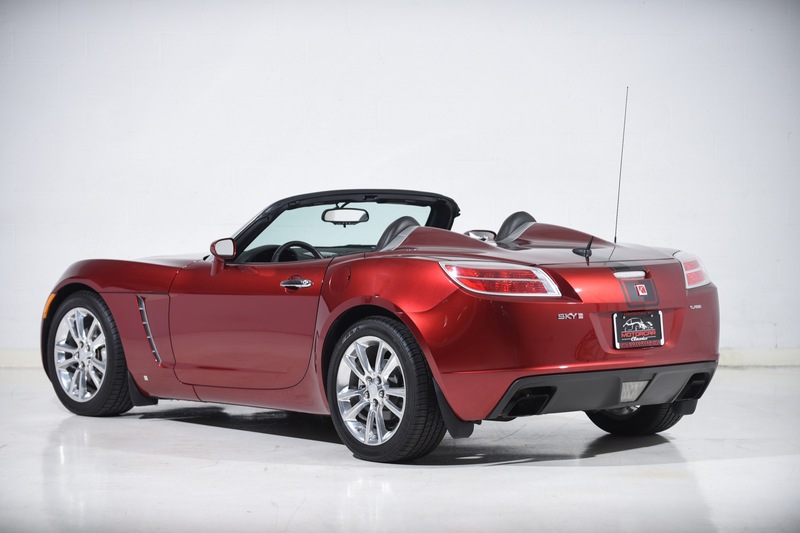 2009 SATURN SKY RED LINE ROADSTER for sale. 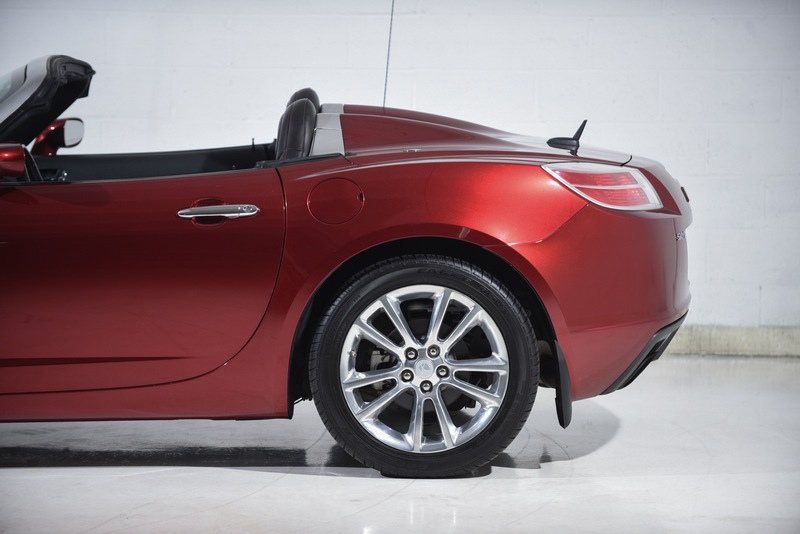 RUBY RED LIMITED EDITION PACKAGE. 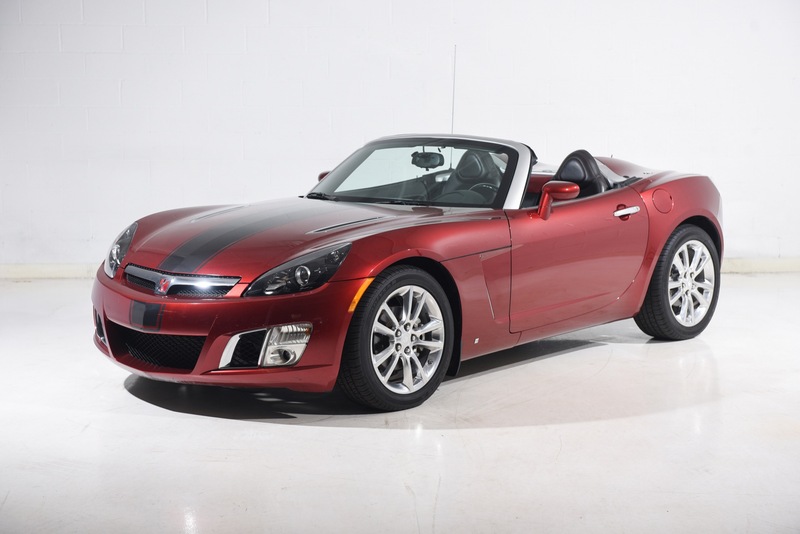 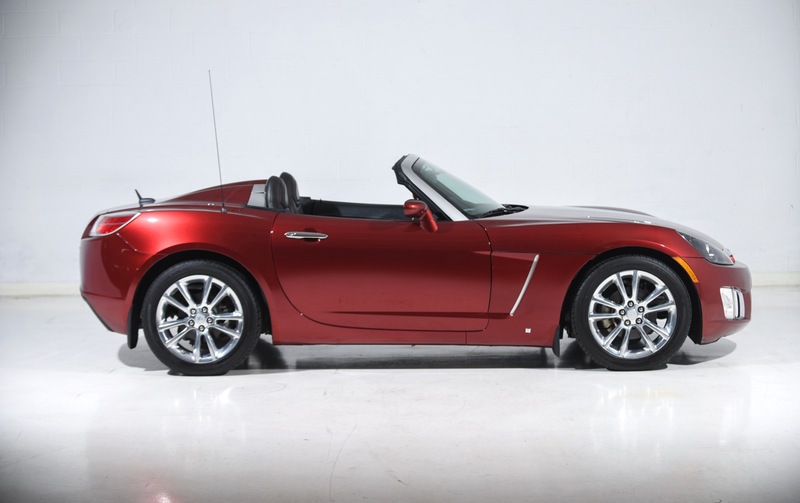 Motorcar Classics is pleased to present this 2009 Saturn Sky Red Line roadster with the rare and desirable Ruby Red Limited Edition Package. 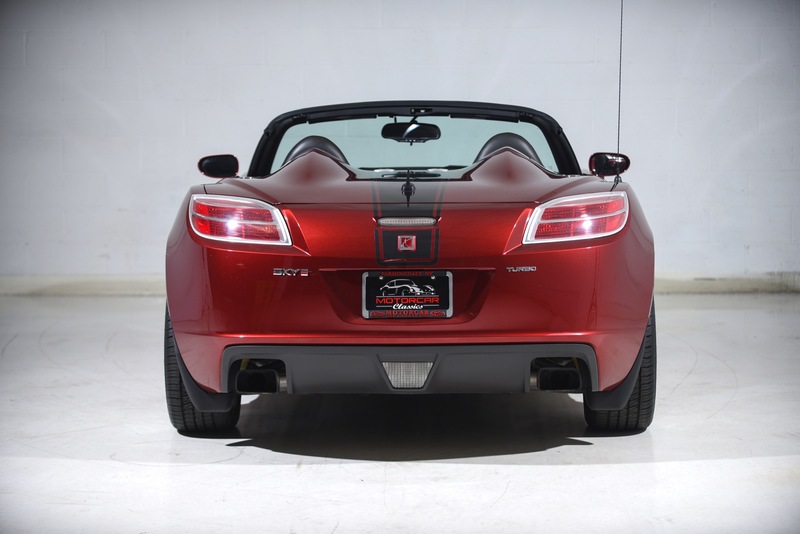 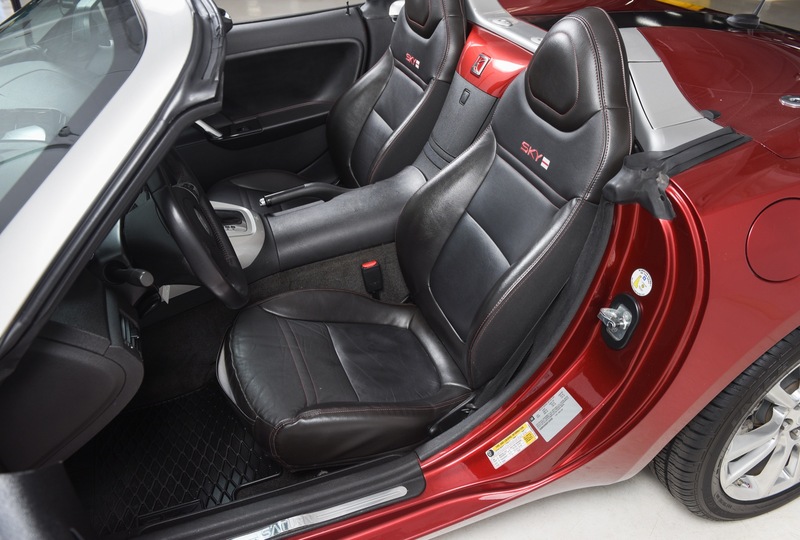 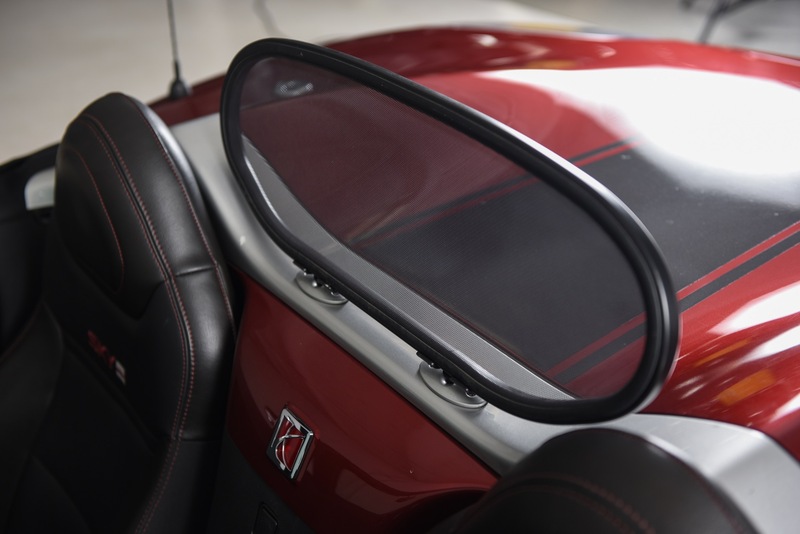 The 2009 Saturn Sky is an attractive roadster that shares mechanical bits with the Pontiac Solstice, but comes with more standard features, including air conditioning, standard 18-inch wheels, anti-lock brakes, and keyless entry. 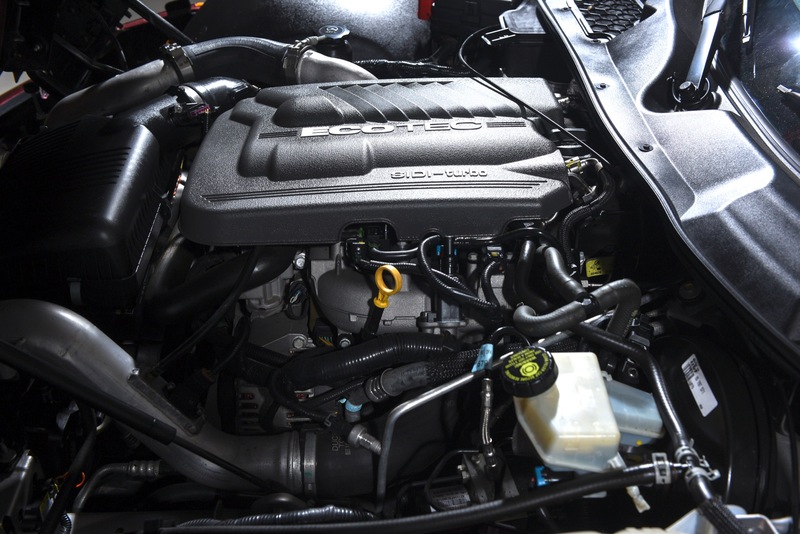 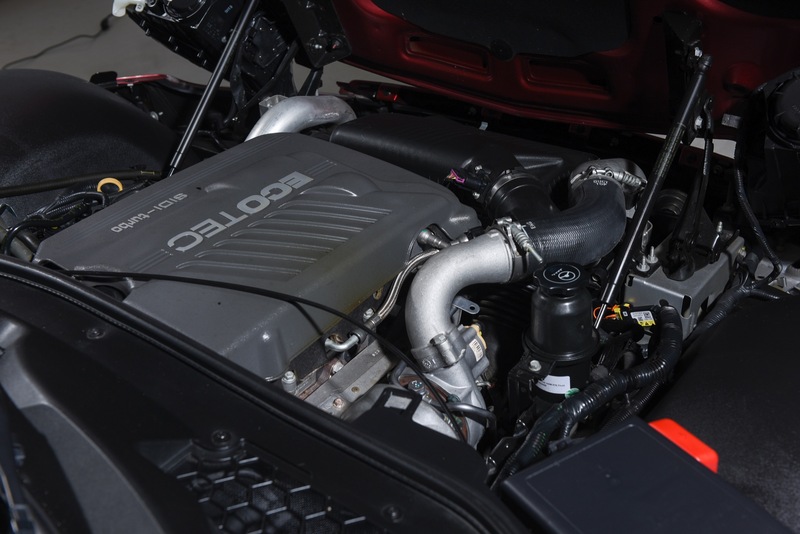 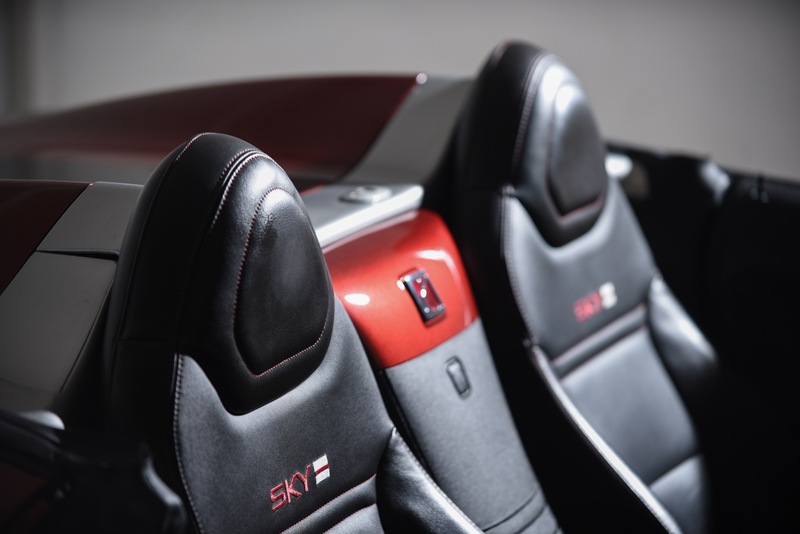 While the standard Sky makes do with a 2.4-liter four-cylinder delivering 177 horsepower, the Red Line is powered by the optional 2.0-liter turbocharged four cylinder that pumps out a screaming 260 horsepower with very little turbo lag. 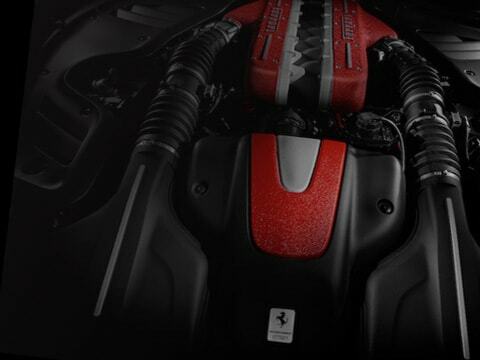 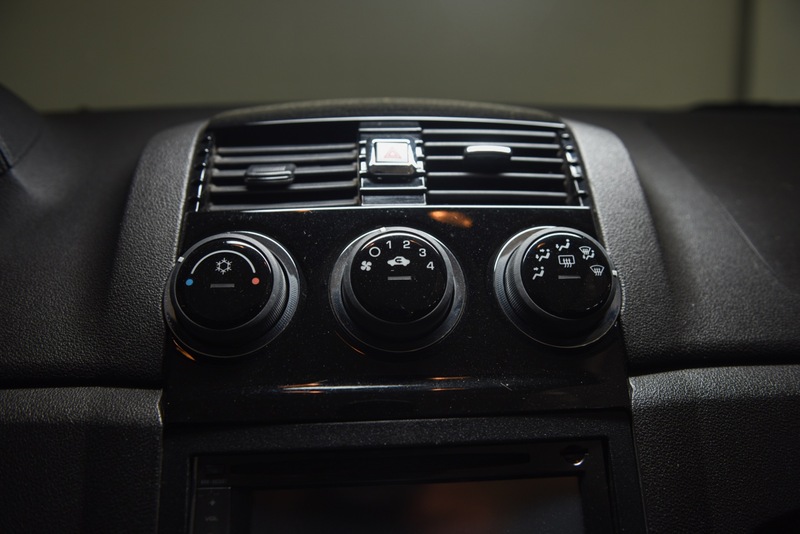 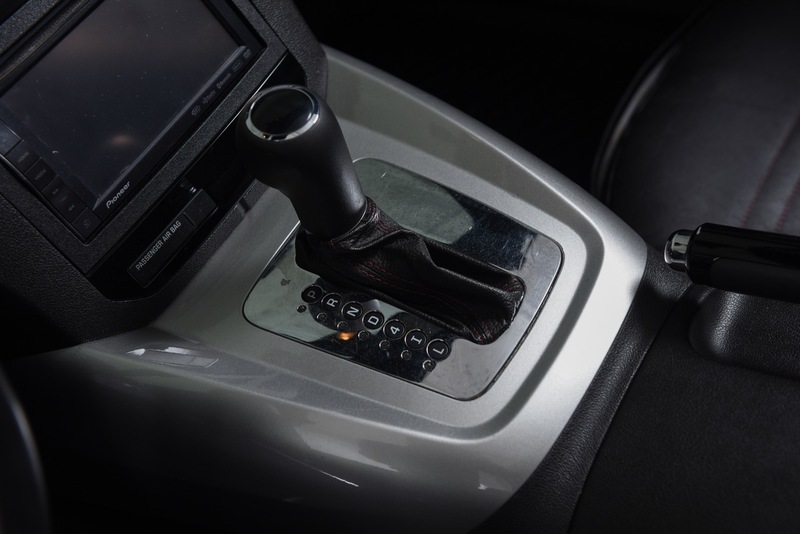 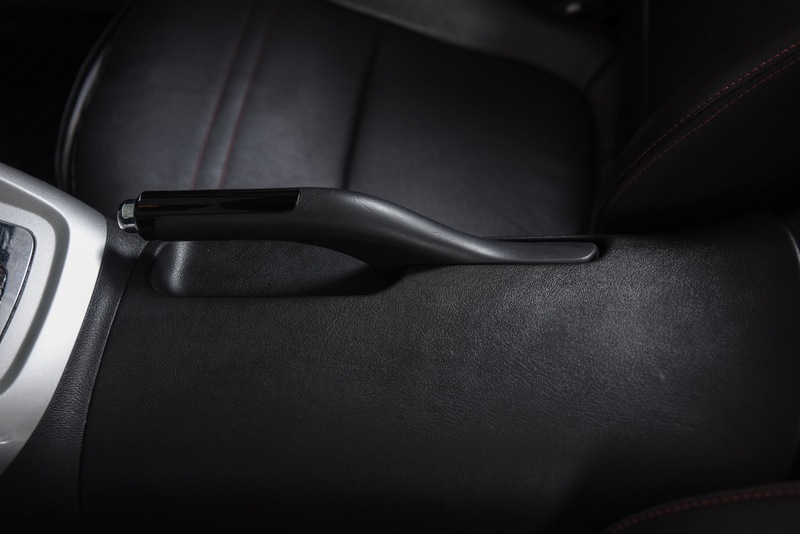 Our car features the user-friendly 5-speed automatic gearbox which is well-suited to the added Turbo power. 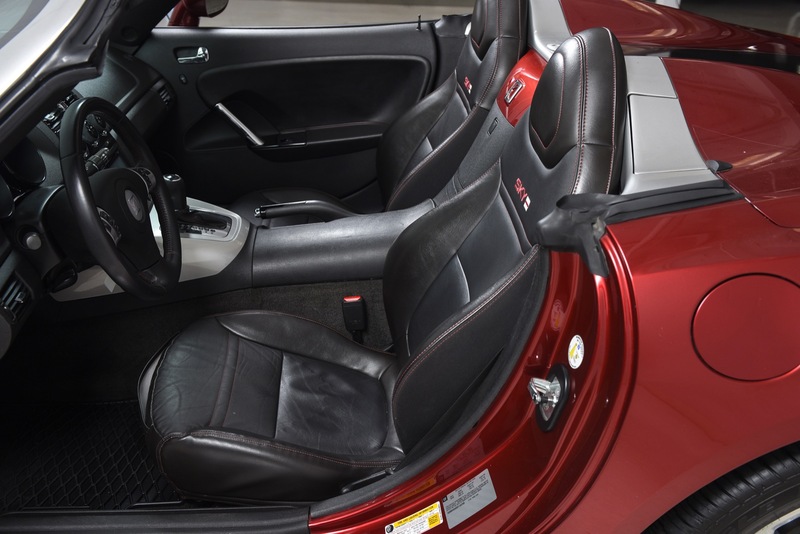 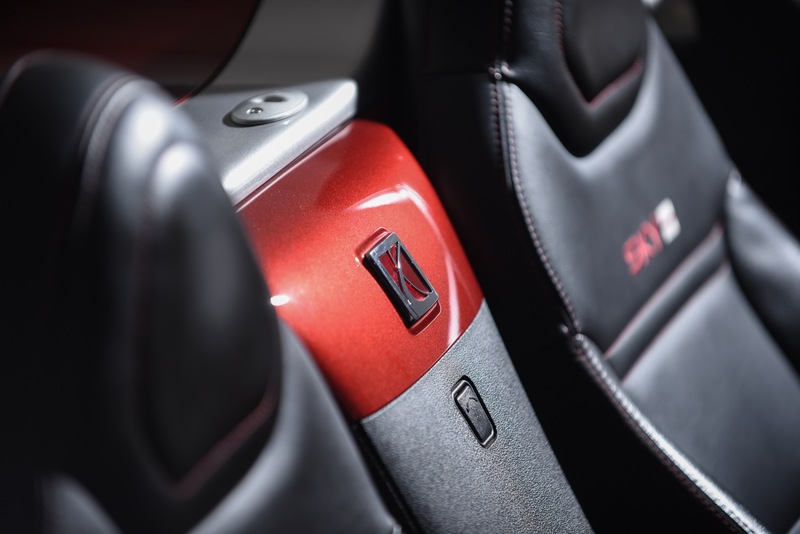 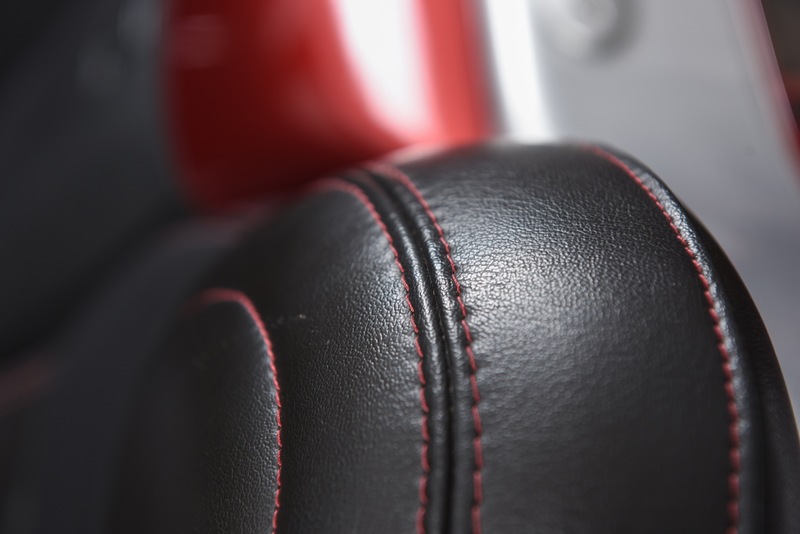 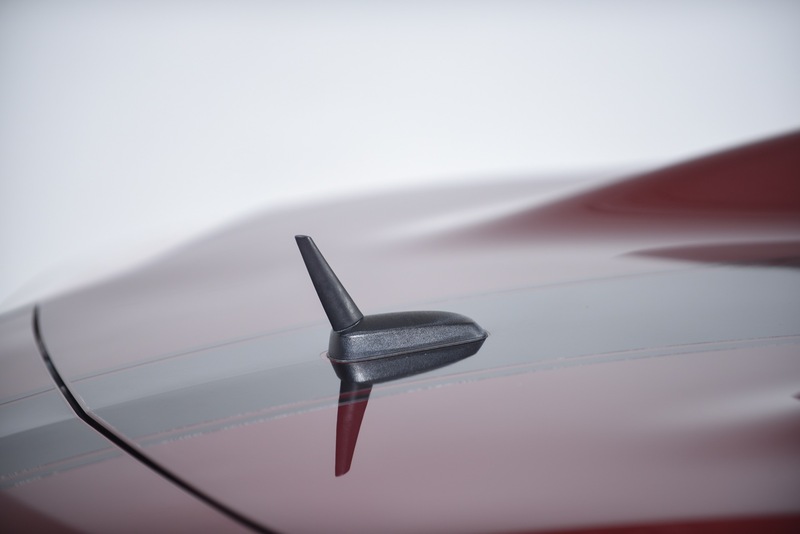 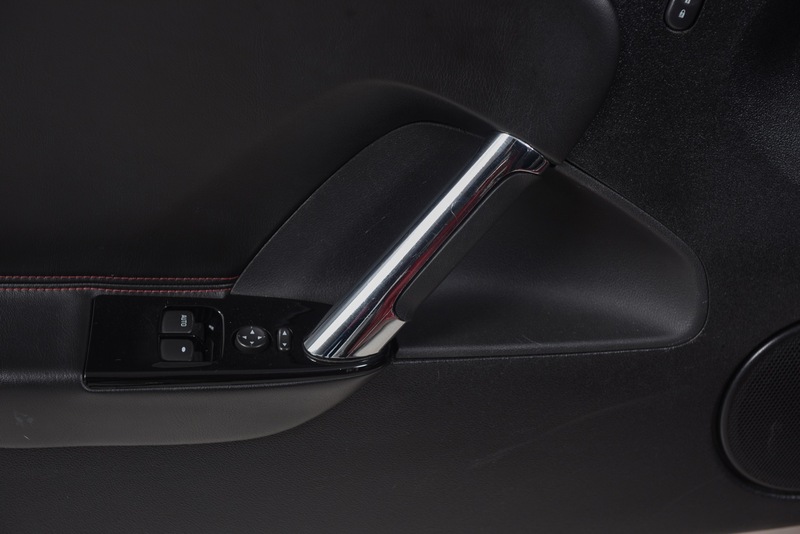 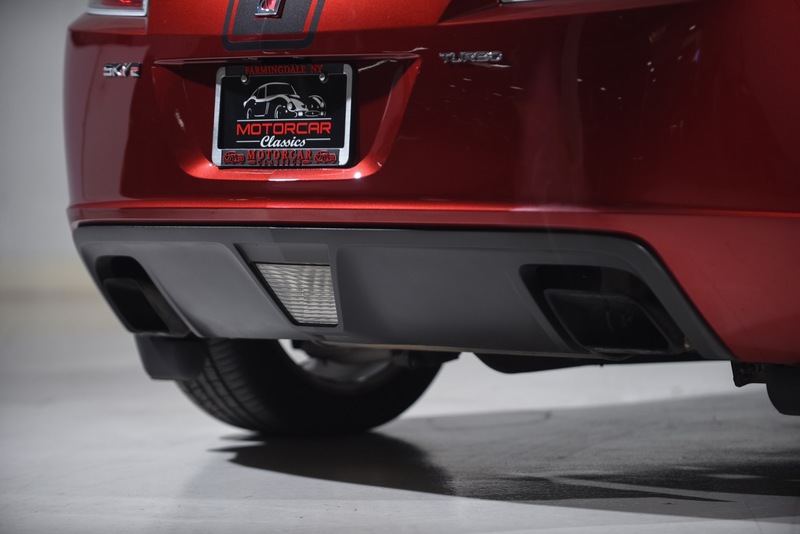 The Red Line model also features a firmer suspension setting, dual chrome-tipped exhaust, as well as its own interior enhancements, such as Red Line-specific instruments (including a digital boost gauge), metallic sill plates, and stainless steel trim. 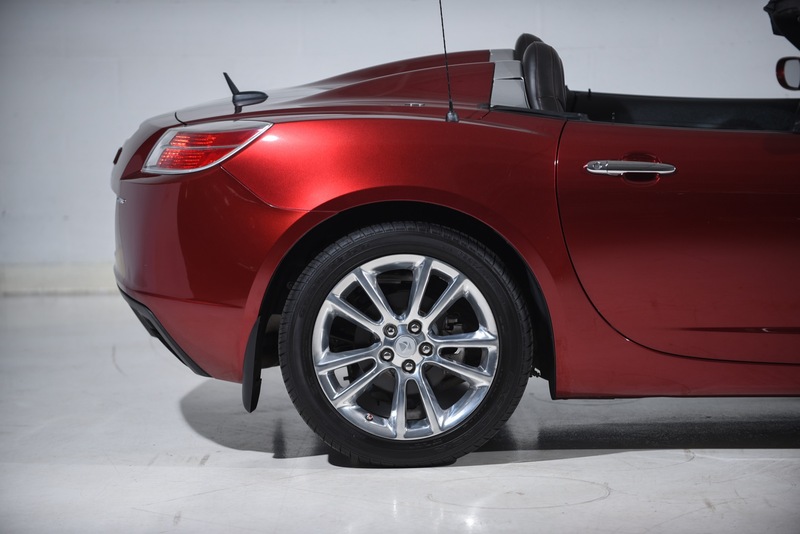 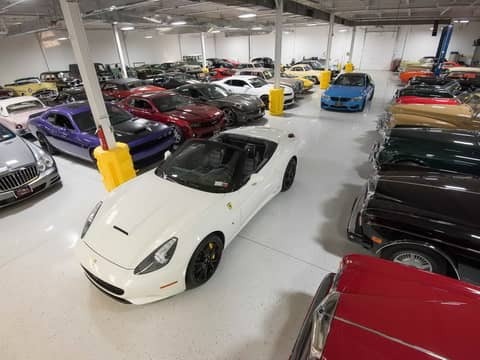 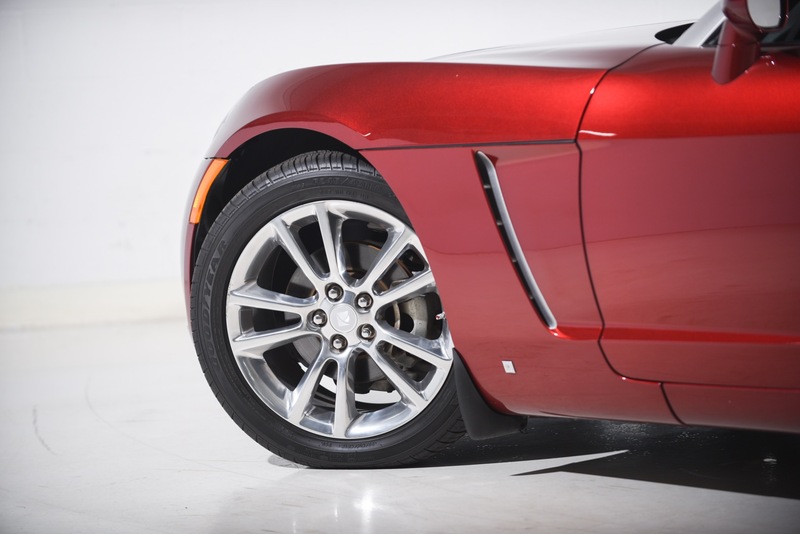 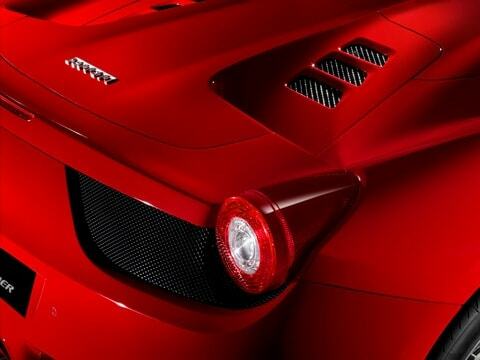 Our car, however, is the range-topping Ruby Red Limited Edition car which perfectly describes the distinctive interior color and adds new split-spoke sport wheels and a sport stripe. 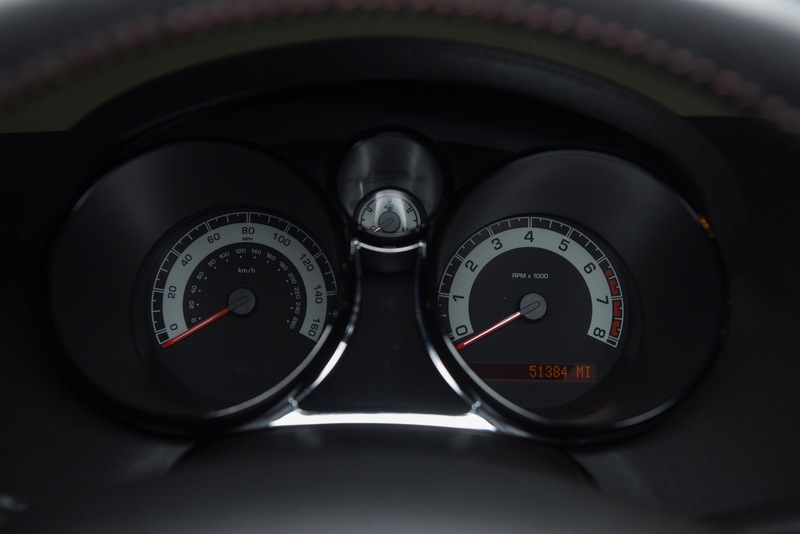 Contemporary road tests show 0-60 times in the 5.5 to 5.8 second range, and the Red Line is rated at 19 mpg city and 26 mpg highway with the automatic transmission. 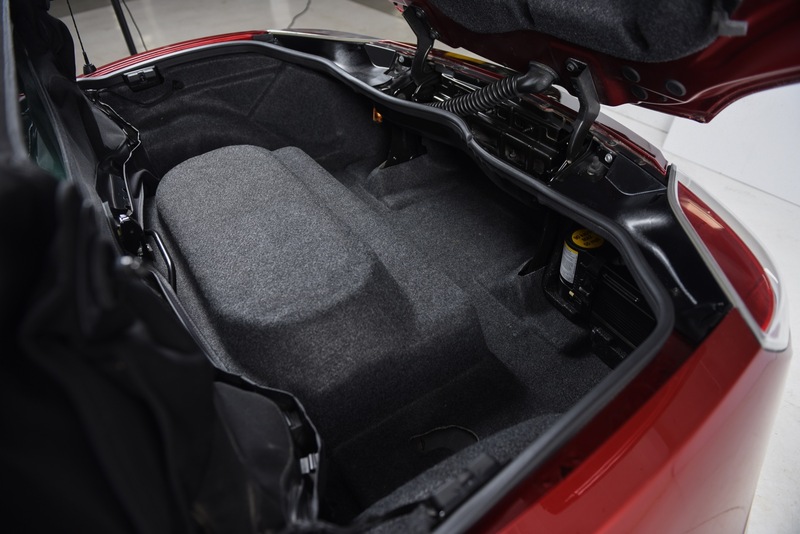 Our car has covered 51k miles in the hands of three owners. 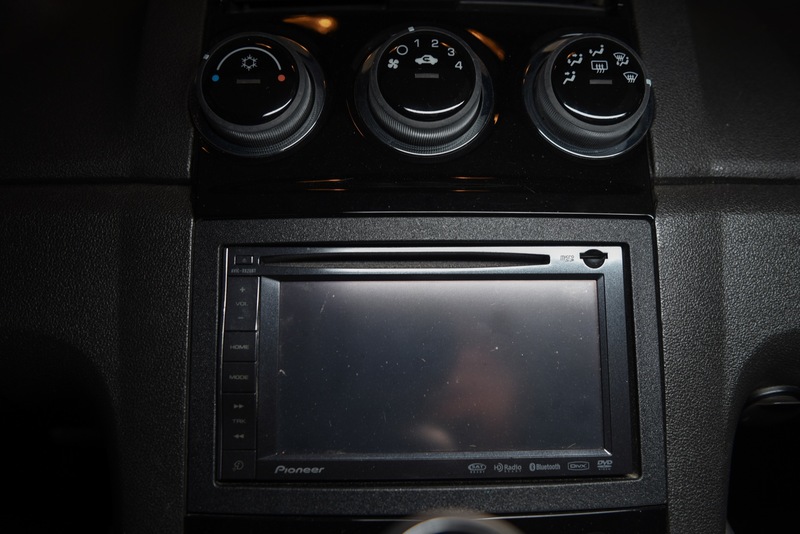 It has a clean Carfax showing no evidence of every being damages and plenty of evidence of thorough servicing. 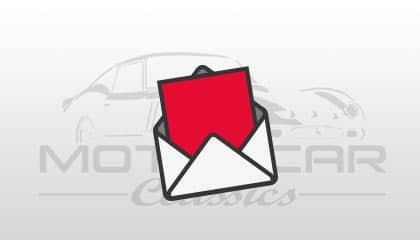 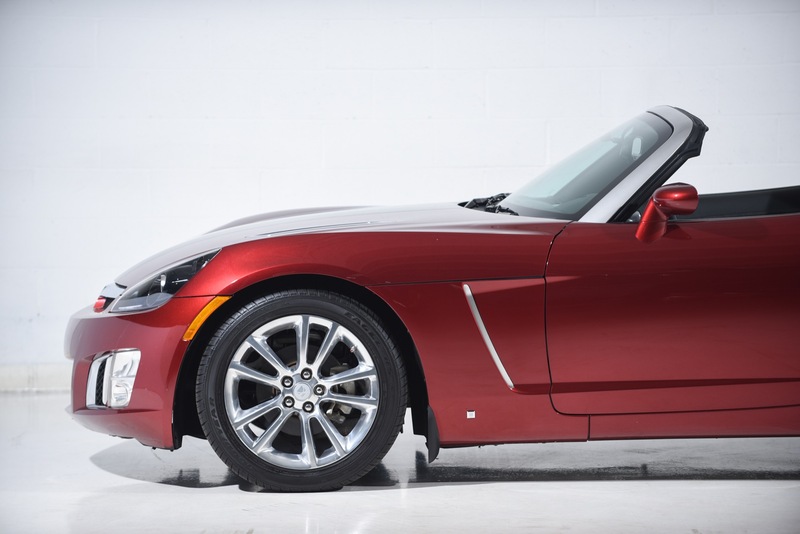 Like its Solstice corporate cousin, the Sky represents a clean-sheet effort by General motors to produce an American alternative to popular European and Japanese roadsters, and a car that some have called a junior Corvette. 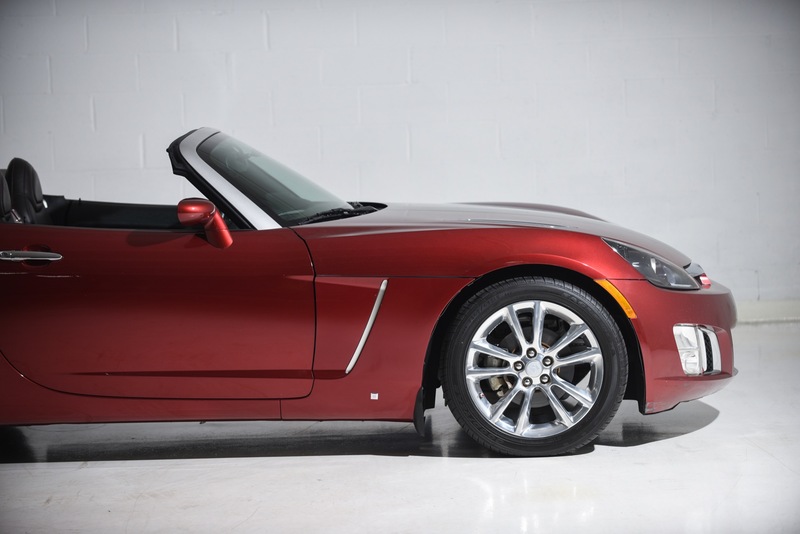 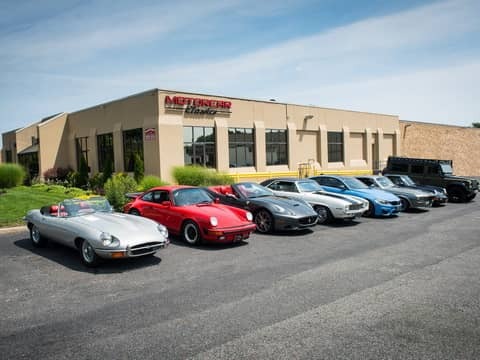 These car represents a great value in a sporty roadster that you can drive every day.